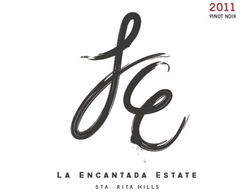 It is my pleasure and honor to tell you that your 2011 La Encantada Estate Pinot Noir won one of only 18 Gold Medals (out of more than 200 wines) in the Fifth Annual Palate Press Grand Tasting. ​Like a pillow-top Tempur-Pedic with silk sheets, the mouth-feel is smooth and luxurious, offering a warm embrace with a firm base.The nose has strawberries and cherries with hints of cola and tart rhubarb. Red currant, black cherry, and root beer shift to strawberry, sage, and thyme on the mid-palate. The finish is moderate length. This was a Gold Medal winner in the Fifth Annual Palate Press Grand Tasting. Drink with pork roast or goat cheese.